Meet Ailie Coulter, an endurance athlete whose self-described likes include running, swimming, surfing, riding, reading, socializing and red wine. But if we’re being totally honest, that list is a bit misleading — or, rather, it’s correct in that Ailie strives to live a balanced life…but it just doesn’t do justice to her focus, work ethic and the all-out guts she’s got that have allowed her to accomplish great things. How? 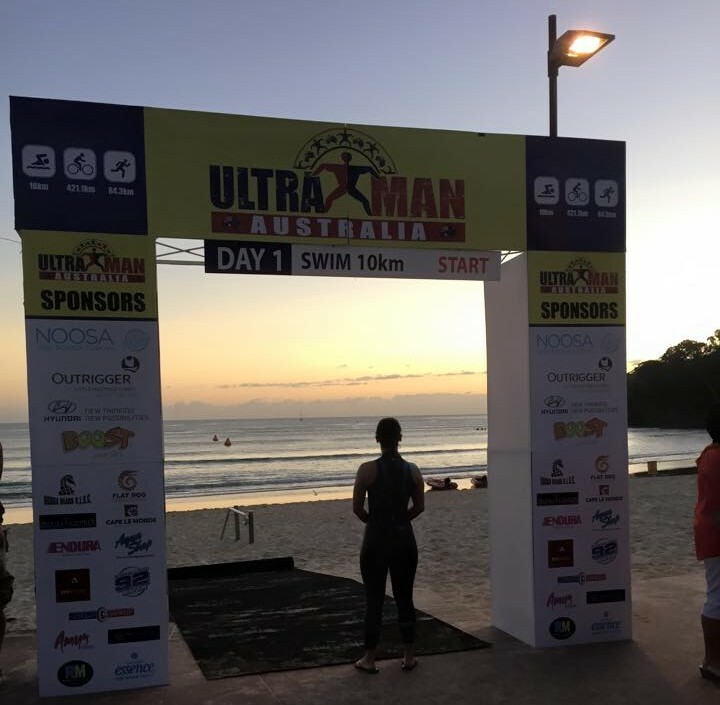 Well, first you’ve gotta familiarize yourself with Ultraman, which is basically an Ironman triathlon (140.6 miles: 2.4-mile swim, 112-mile bikes ride and 26.2-mile run) DOUBLED. And then tack on another, oh, 40 miles or so for good measure. That’s right; we’re talking 320 miles total, including a 6.2-mile swim and a 261.4-mile bike ride followed by a 52.4-mile double-marathon run. Put simply, it’s a race that’s “challenged and defeated the world’s fittest athletes for nearly three decades,” as aptly described by Triathlete magazine. 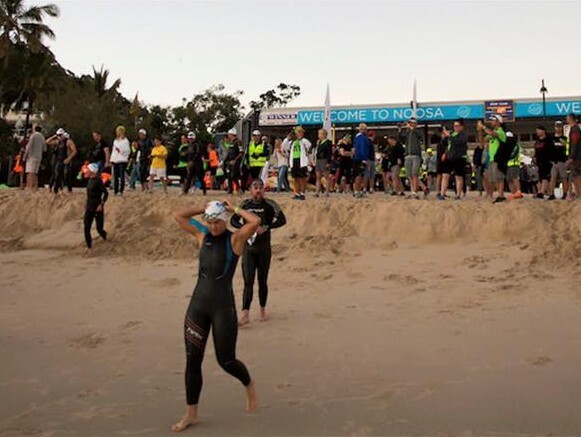 And second, all you need to know is that Ailie placed second at Ultraman Australia last year (watch the video about it here), which means she’s been invited to compete at Ultraman World Championships in Hawaii this year. The prospect of undertaking (and crushing!) this kind of endurance feat — one that takes stamina, heart and determination to a whole new level — blows my mind. 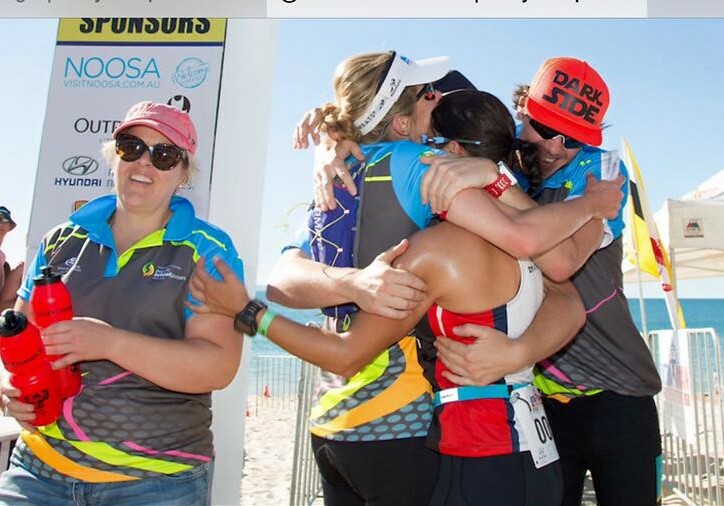 So, needless to say, it was an honor to take a few minutes with Ailie (a fellow Coeur Sports ambassador) to find out what makes this incredible woman tick! 1. What’s your favorite route or workout? Think that would have to be long-distance trail running. Nothing better than getting out of the city early morning, alone, in nature and experiencing all the different seasons. Normally start in fog and can’t see a meter in front of you and by the end of a 4-5 hour run session you have wolfed down all the food in your pack and replaced it with the layers of clothing you have taken off as the day has heated up! 2. What shoes do you wear — both on the bike and on the roads? Running: Used to wear Asics but then they changed them and made the toe box really small and I started losing toe nails and getting horrid blisters. Then Pearl Izumi introduced their run collection a few years ago, and they made the toes wider than the heel and it is the best thing to happen to the world of running!! No more foot problems; I went and bought four pair in case they never made them again. Doesn’t have to be Pearl Izumi (although they are my favorite, support, cushioning, colors, etc.) as long as it has a large toe box, meaning it doesn’t taper off small and pointy and your toes can be free to spread out in the shoe each foot strike. Bike: I wear Specialized S-Works road shoe, as they look the goods and make me feel pro. Also super comfy and can buy a pair new and feel like I have had them for years. Would happily knock out a 200k ride in a brand new pair with no issues. Before these I used to get hot feet, pins and needles, etc. 3. What other training gear can’t you live without? SOCKS!!! I have a bit of a sock obsession and love to sock dope on the bike. Bright, kit-matching, etc. on the bike, and I’m loving the MAAP range at the moment. Sometimes you gotta look good doing what you do! 4. What’s your best time-saver or “workout-hack?” Hill sprints, running or riding and swim sprints. You can get an awesome work out in half an hour! 5. What part of each discipline (swim/bike/run) are you better at than anyone else? Swim: Rough water, everybody else complains when the swell picks up and there is white wash, I fist pump the weather gods. Ride: Um… my socks look the best. Run: I’m a diesel engine. A lot of people use this as an excuse to go slow; I can just maintain my consistent pace for a really really long time. Overall, I’m not really better than others at any of these things; I think I just know how to hurt more than others and love it. 6. What do you listen to while training? I often don’t listen to anything. I have a hugely hectic life with lots of responsibility and training is my switch-off time. I like to take in the world around me, it’s almost meditative and leads my mind in so many cool places that I don’t want to take that away with music. For gym sessions, love a bit of Presets or something with a heavy beat that makes me feel like I can dominate the world. 7. What are you currently training for? Ultraman Wold Champs in Hawaii in November. Will try to save some $$ and probably not enter any events in the lead up but will throw in a few big 3-4 day training camps where I completely punish myself in the hills. That way I can include a bit of time away with the man and friends and training partners, too, as its not all-consuming like racing can be. 8. What are your recovery and sleep routines like? They are more crucial than any training I could do! I ensure I get 8 hours sleep; the moment I cut this, I start to have issues with hormones and cortisol levels, which leads to getting sick, sinus infections, fatigue or injury, which leads to less training. So if I have had to work longer hours or have an important social function, I tell the coach in advance so we can plan around it. For females, especially, this is absolutely crucial in being able to train consistently. In terms of recovery, in high-volume weeks my coach and I schedule in an afternoon power-nap between work and my arvo session; if my long ride goes for 8 hours, I tack on another two when making social plans so I have time to got home, make real food and have an hour of couch time before doing anything. Nutrition is a big part of all of this. So many female athletes can’t figure out why they are constantly sick or injured, and it is all because of hormone imbalances in the body. If you want to train consistently, we need to remember that we have three sources of stress in our lives as athletes: mental (work, relationships, finances, etc.) physical (training or other work-related physical strain) and nutritional (what we put in that our body needs to deal with). If I have a family issue, I will dial down my training and eat perfectly. If I am eating horrible and for some reason including alcohol, I can’t be stressed at work and high-volume training. Given we can’t often control the mental stress, it is the nutritional and training stress that we need to modify when we can not control the mental. 9. What’s the best athletic advice you’ve ever received? Consistency is key!! 10. What’s your favorite racing-related memory? 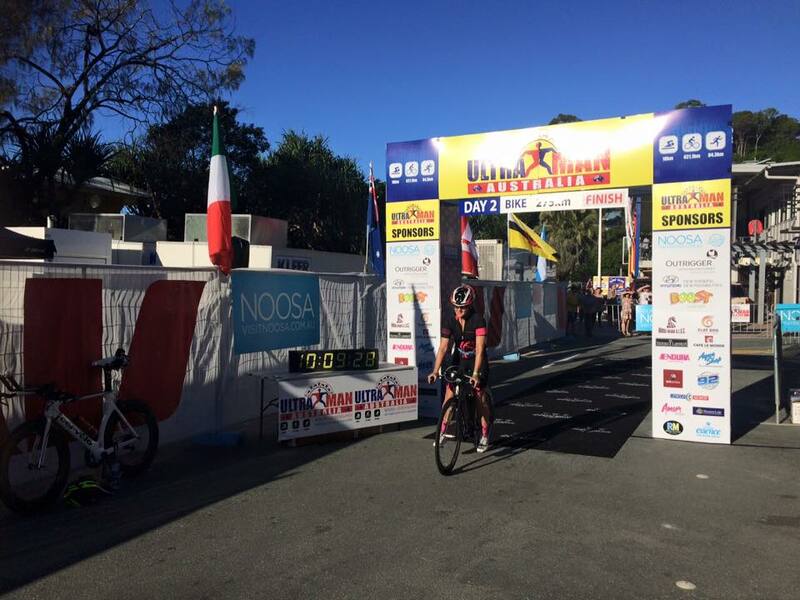 Would have to be Ultraman Australia in 2015. I finally did what I went out to achieve. We spend so many years in this sport and put so much pressure on ourselves to perform, but the hard fact is that so many external factors out of our control can impact the result. At this race, I finally got it right and it was the best feeling in the world. 11. Fill in the blank: I’d love to grab a workout with ______. My friends!!! 12. Anything else you’d like to add? Life can sometimes be challenging; find out what makes you happy, and make that your priority. No matter what it is, find it and own it and smile your way through life. Thanks, Ailie! Not only do you exemplify #heartandcourage, but you’re a true inspiration for everyone to get up, get out and get moving. We’ll be rooting for you at this year’s Ultraman World Championships! Meet Caitlin Constantine, digital media producer for a TV news station in the Tampa Bay area, voracious reader, wife, lover of the outdoors, experimenter in the kitchen, and mom to a greyhound and three cats. Oh, and in her “spare time,” she’s also a competitive endurance athlete (who most recently qualified for the Boston Marathon). But that wasn’t always the case, which is why Caitlin’s achievements are all the more impressive. You see, after playing on varsity teams in high school, she gave up on sports and most physical activity upon entering the “real world.” She likes to joke that by the time she was in her mid-20s, the most exercise she got was walking to the corner store to buy cigarettes or around the block to get a beer at the local bar. 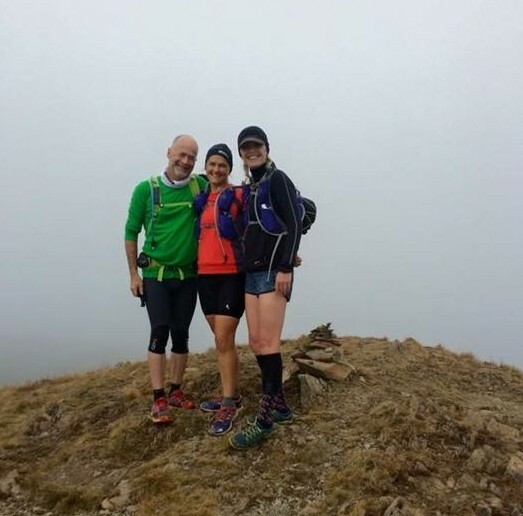 That all changed, however, when Caitlin turned 27 and met her husband, a former smoker and drinker who reinvented himself as a marathon runner and salad-eater. 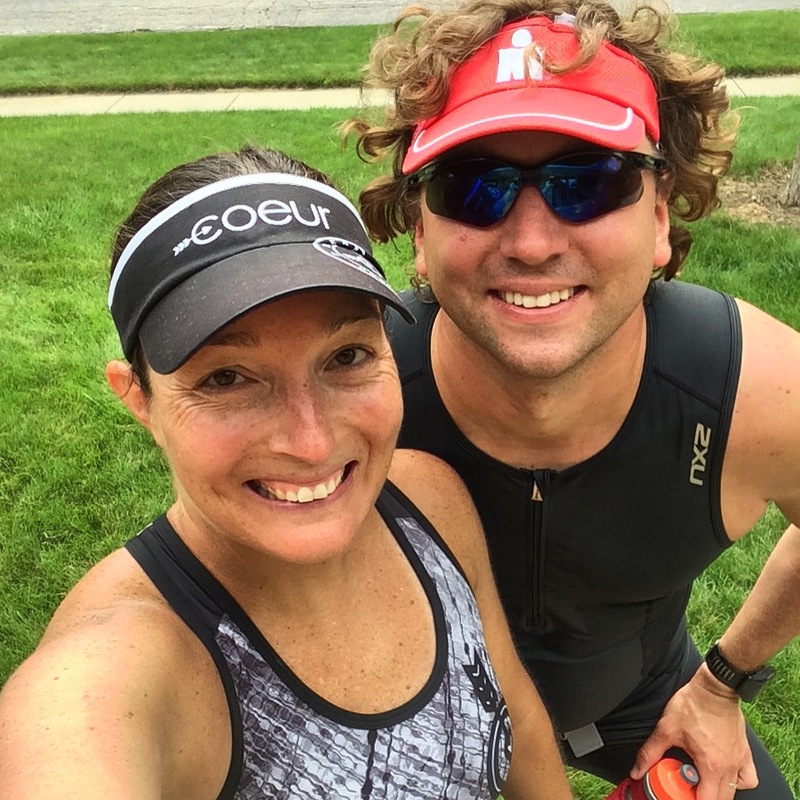 After watching him finish a marathon, she decided to take up running herself, which eventually led to her completion of two ultramarathons, five marathons, a few dozen half-marathons and too many shorter distance road races to count. 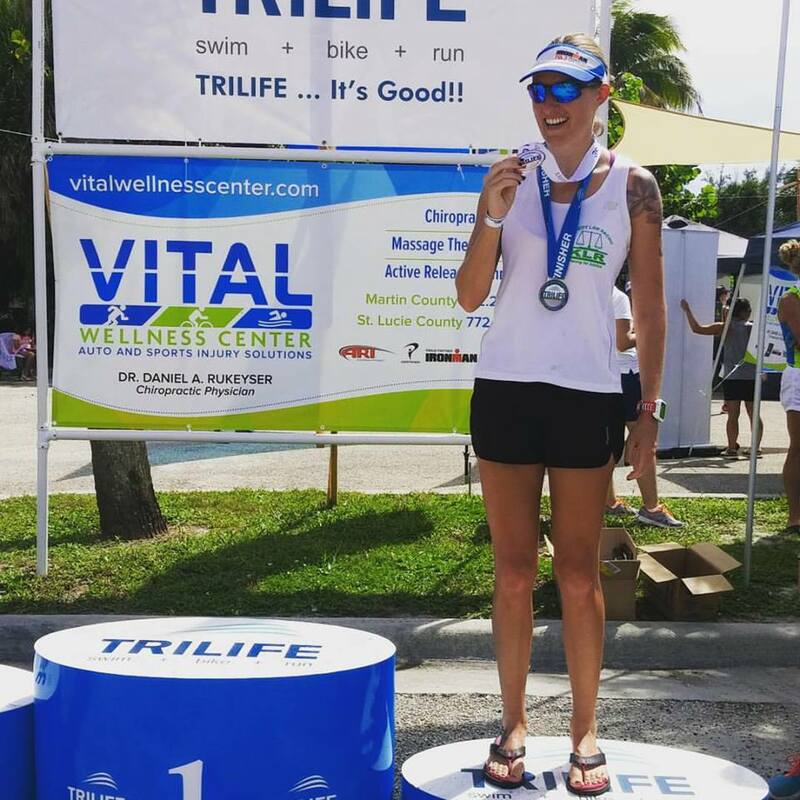 A few years ago, she broadened her athletic horizons to triathlon and has since completed two half-Ironmans, along with several sprint triathlons. 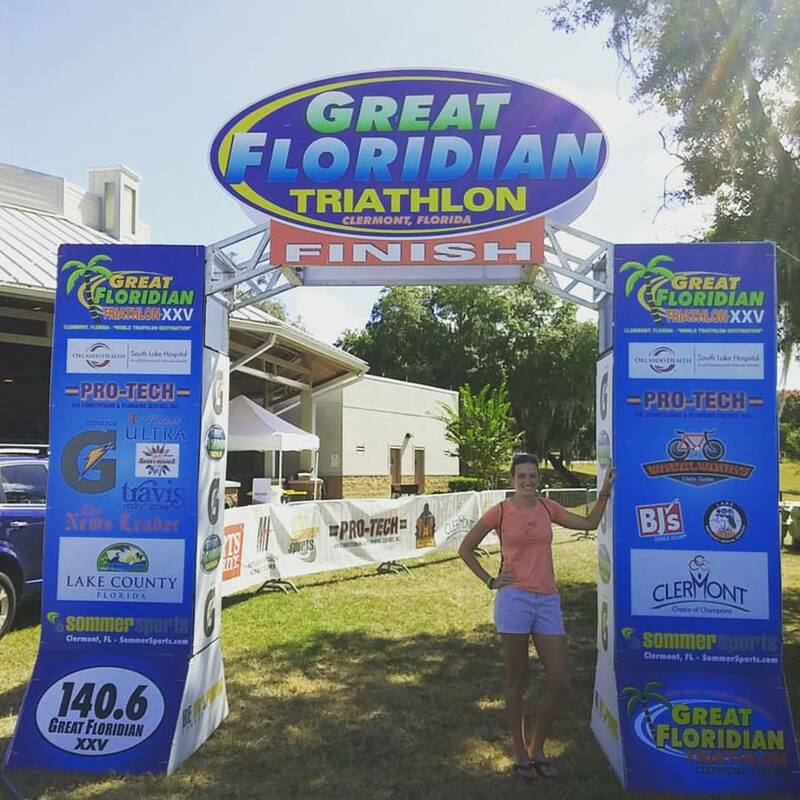 And since she’s got big plans for 2016 with the Boston Marathon, her first full Ironman race and a bunch of smaller races in between, I thought it’d be fun to pick her brain about some of her favorite things, as well as where her athletic endeavors will take her next. 1. What’s your favorite route or workout? Right now my favorite workouts are tempo runs, which I usually do on a multi-use trail through a park near my house. The trail runs through a wooded area around a small lake, and it’s so beautiful, especially in the mornings. I also see lots of wildlife — alligators, tortoises, roseate spoonbills — which keeps things interesting. One of the reasons my husband and I bought our house where we did was so we could be close to this park, and I’ve yet to regret that decision. As for the run itself, I always love doing tempo runs. I like running hard, but not puke-my-guts-out-hard like you get with a speed workout, and so I find tempo runs really scratch that itch without leaving me utterly depleted. 2. What shoes do you wear — both on the bike and on the roads? When I’m on the bike I wear Specialized Trivents, which I like because they keep my feet cool and well-ventilated (extra important when cycling in Florida heat!). They were recommended to me as a great bike shoe for triathletes, and so far I’ve found they live up to the hype. I switch between two kinds of shoes when I run. When I do anything that’s half-marathon or shorter, I wear Brooks Pureflow. I had been wearing Newtons Distances for a couple of years and really liked them, but then something changed in the recent model and suddenly I couldn’t wear them without feeling like I’d shredded my calves. A friend recommended the Pureflow to me and my life has never been the same since. Usually with running shoes it takes me a bit to get used to them, but I was running beautifully the very first time I put the Pureflows on. Sorry, Newtons. It was great while it lasted, but my heart belongs to Brooks now. All my long-distance runs are done in Hoka Conquests. I started wearing them in 2014, when I trained for the Keys 50 (an ultramarathon run entirely on roads and sidewalks) and I found they really minimized the impact of lots and lots of running on my joints. That’s particularly important for me as a tall, solidly-built woman, as there’s more of me to create that downward force on my feet with each footfall. I can still run pretty fast in them, too. I qualified for Boston while wearing them. 3. What other training gear can’t you live without? My Garmin 920XT. I mean, I suppose I could live without it, but why would I want to? It’s so fun! 4. What’s your best time-saver or “workout-hack?” I love to do my binge TV-watching while riding on the indoor trainer. I’m sure some triathlete purists would scoff, saying that a real athlete would do her trainer rides while in a garage without air conditioning while doing nothing but staring at a poster of Kona, but whatever. I still do workouts and ride fairly hard; I just have something else to think about aside from how much I hate riding on the trainer. And this is how I see it: if watching TV helps me be consistent about riding on the indoor trainer, then so be it. Anyway, this has helped me go from having a weak bike leg to being decent on the bike. I posted my best bike splits at the end of last year, so it seems like it’s working! 5. What part of each discipline (swim/bike/run) are you better at than anyone else? This is a relatively new development for me, dating back to about the summer of 2014, when I did the Keys 50. During the whole training cycle leading up to the race and then the race itself, I learned a lot about how to be mentally tough. Before that I was a total wuss who would quit whenever things got even the tiniest bit painful or scary, but that race was like a baptism by fire and I came out of it much, much tougher than I was before. And as any endurance athlete knows, mental toughness is literally like 90 percent of success at these sports. Obviously you have to train your body to be able to withstand the stresses, but all the training in the world is worthless if your mind folds like a cheap card table when faced with adversity. Now, I don’t know if I’d say I’m mentally tougher than anyone else, but I do think it’s a quality I have that has allowed me to have a lot of success with racing and training in the past 18 months or so, and it’s a quality I recognize not everyone has. The good thing, though, is that if I can develop mental toughness, ANYONE can. 6. What do you listen to while training? Just about everything, as long as it has a good beat. I actually just wrote a post on my blog about this with some of the songs I’ve been listening to lately. It includes everything from 80’s pop like “Maniac” to classic rock like Van Halen to Janelle Monae and Britney Spears. 7. What are you currently training for? Right now I’m about two months out from the Boston Marathon, which marks the first time I’ll be running the race. I worked pretty hard and consistently for a few years to get myself to this point, and so while I have a time goal for Boston, I’m mostly just looking at the opportunity to run that race as my present to myself for all the hard work I put in over the past few years. By the way, I’m also using the Boston Marathon as a way to raise money for Free to Run, which is a non-profit organization that uses running and outdoor sports to empower women and girls in Afghanistan. If you’re interested in learning more and possibly contributing, you can do so by clicking this link. After that I’m training for the Hurricane Man Roughwater 2.4-mile swim, Ironman 70.3 Chattanooga, and then Ironman Louisville, which will be my very first full iron-distance triathlon. I’ll also do a bunch of smaller local races in between, but my eyes are on those big goals right now. 8. What are your recovery and sleep routines like? If I’m being honest – they could be better. I’m old enough that I really feel the effects of a lack of sleep or inadequate recovery, plus I demand so much more of my body than I ever did before. I’m getting better, though. I try to get at least seven hours of sleep a night, and if my job (which, as I work for a 24/7 TV news station, often has wonky hours) means I don’t get enough sleep, then I skip training and prioritize sleep. I just don’t see the point in training when I am also exhausted. I do make an effort to eat shortly after a workout, because I’ve noticed if I go for a run and then don’t eat anything for a while afterwards, I’ll end up headache-y and tired all day and then my legs will hurt the next day. It makes sense that this would happen, though, as doing so is basically like asking a construction crew to build a house without any tools or materials. Except worse, because then the construction crew riots inside my head and I’m miserable all day long. So I definitely make sure to eat plenty of good food. I also like Epsom salt baths and having my husband use The Stick on my legs. I try to foam roll regularly and to strength train to keep my muscles strong and healthy. And lately I have been SUPER into yoga. I practice at home and I also go to a hot yoga studio once a week. I like it not only for the restorative aspects, but also for the way it helps me be more chill and centered. It’s good for my mind as well as my body. 9. What’s the best athletic advice you’ve ever received? To enjoy the process and not be so focused on outcomes! My super-wise husband gave me that advice, and I’ve really taken it to heart. A friend was talking with me the other day about the path I took from being a middle-of-the-pack runner to a Boston qualifier, and he said he really appreciated seeing someone put in hard work to become faster and stronger. I was like, “But I don’t think I’ve been working that hard?” But then I thought about it for a while afterwards, and I realized that I actually have been working quite hard. Because I’ve coupled workouts with a mindset that appreciates each run/swim/bike/race/yoga session/strength session (well, if I’m being honest, about 80 percent of them) as I’m doing it, it hasn’t really seemed like hard work because I’ve just been so immersed in the process. Achieving my athletic goals has just been a side bonus to the overall experience of living this lifestyle. 10. What’s your favorite racing-related memory? Goodness, that’s a hard one to choose. Part of me wants to say the very first finish line I ever crossed — a 5K way back in 2007 — or the first marathon I finished, where I sobbed as I ran the last 0.2 miles or the first triathlon I finished, where I realized I could survive swimming in open water. But really it’s a tie between crossing the finish line of the Keys 50, where I was just totally blown away by the enormous difficulty of what I had just accomplished, and crossing the finish line of the Albany Marathon, where I BQed, and getting to savor the experience of realizing I was on my way to accomplishing a long-held goal that I had worked so hard to achieve. The one thing all of these things have in common, though, is that I was forced to change the way I thought about myself afterwards. Like, I had no real choice but to accept that certain things I thought I knew about myself were no longer true, and that I had to come up with new ways to think of myself. And the awesome thing is that all of those new qualities I’ve now assigned myself — based on real proof in the forms of things I had *actually done* — are all qualities that I believe have made me a better human being. 11. Fill in the blank: I’d love to grab a workout with _________. Another hard question! If I were to think of professional athletes, probably Chrissie Wellington, because she is not only an amazing athlete but also a smart, funny person, or Hillary Biscay, just so I could experience one of her infamous smashfests. But the truth is, there are a lot of women I’ve met over the internet — both as a blogger and a member of the Coeur Sports team — with whom I’d love to go for a run or a bike ride or hit the weights alongside, and I would likely choose them before anyone famous. I couldn’t even start to name them because I’d forget some and feel like a jackwagon. This has been one of the greatest things about blogging, by the way — meeting so many incredible people. It’s the best! Thanks, Caitlin! Can’t wait to cheer you along this year as you check some pretty awesome items off of your running and triathlon Bucket Lists. When I initially set out to do this interview series, I thought it’d be interesting to see what kind of gear people prefer, what their training routines were like and that it’d be fun to hear about racing from all different kinds of perspectives. What I didn’t expect was to get absolutely blown away by the incredible back stories in these athletes’ lives. Case in point: Ruth Rickey, a former attorney and administrative law judge who, put simply, fell in love with cakes. Ruth worked her way up as Bakery Manager for IGA’s 3200 stores in 31 countries before opening her own shop, Ruth’s Sweete Justice Bakery, and operating it for more than a decade. Since then, she’s been teaching all over the world as a ICES Certified Master Sugar Artist. Ruth has also been seen on WE TV’s Wedding Cake Wars (her team won), twice on TLC’s Ultimate Cake Off (assistant to Pat Jacoby on two wins) and on three specials on The Food Network about The Oklahoma State Sugar Art Show. In the midst of all this success, however, Ruth was diagnosed with Chronic Myeloid Leukemia, which was incurable and untreatable at the time, and she was given 2-5 years to live. Miraculously, six weeks after her diagnosis the FDA approved Gleevec, a drug that revolutionized cancer treatment and saved Ruth’s life. 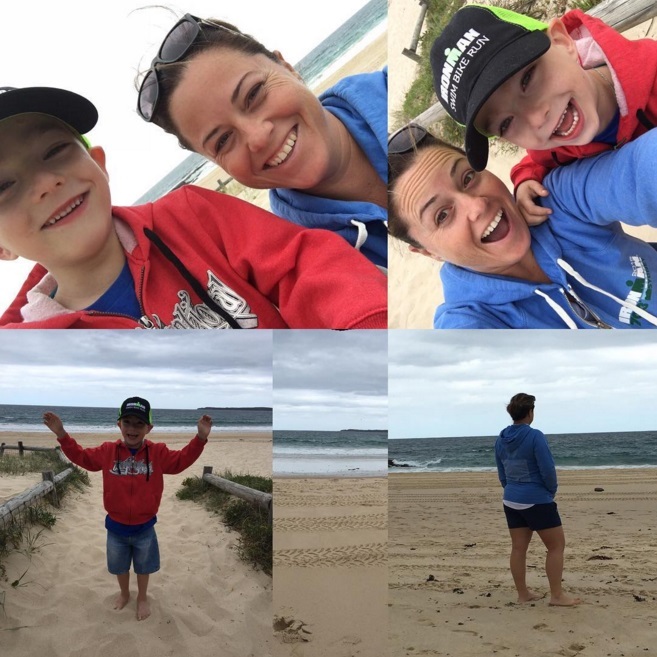 After switching medicines a few times, Ruth is happy to report that she’s now back in genetic remission. 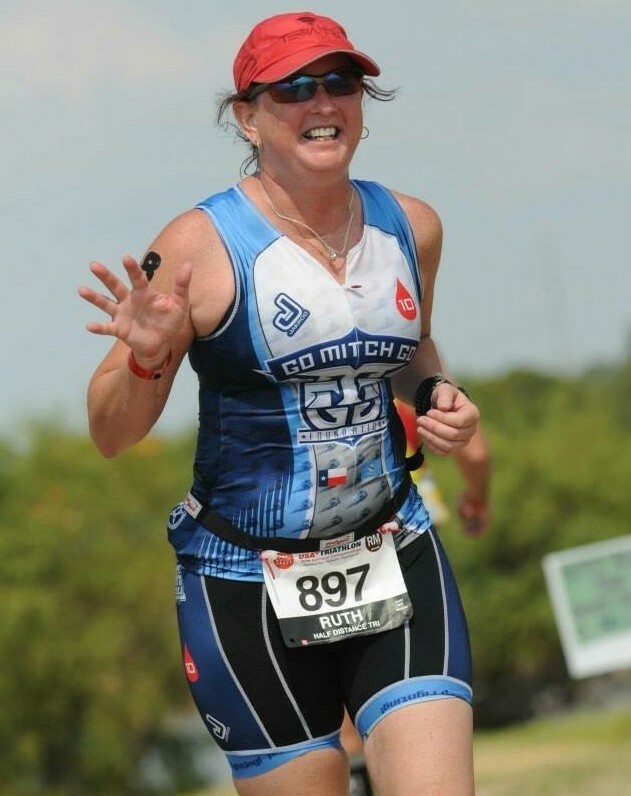 And to pay her miracle forward, she spends her free time doing marathons, half marathons, century rides, triathlons and various charity events to raise money for the Leukemia and Lymphoma Society and the Go Mitch Go Foundation. I can’t even imagine what it’s been like for Ruth as she wages a fight for her life all while balancing a successful career, endurance events and philanthropy. But I can imagine that every one of her victories — whether in the kitchen, at her doctor’s office or out on the race course — probably tastes pretty sweet. 1. What’s your favorite route or workout? I love riding our new River Trails route. It starts in downtown Oklahoma City in our Boathouse District. It is a cool new area where the Olympic rowers train. The route winds past the boathouses on both sides of the river. There are some gentle inclines/descents and turns to keep the ride interesting. It then connects into the West River Trails, which take me by two different lakes. The route doesn’t have a lot of pedestrian traffic and is closed to vehicles. It is newly paved and simply makes me happy to ride! Besides the normal geese, ducks and other birds, I can even see a buffalo on this route. Only in Oklahoma! 2. What shoes do you wear — both on the bike and on the roads? I run in Brooks Ravenna and I cycle in Pearl Izumi tri shoes. 3. What other training gear can’t you live without? I love my Garmin 920! I like being able to use the bluetooth to get the data onto my phone immediately. 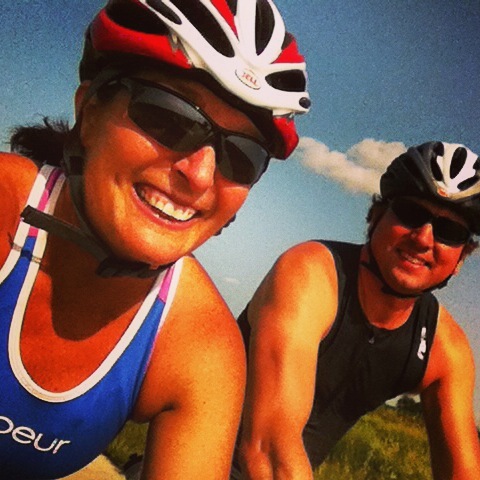 I love the live tracking part of it for my hubby…due to my medical issues, he worries if I’m out training without him. Now he can see where I am whether I’m training or racing! 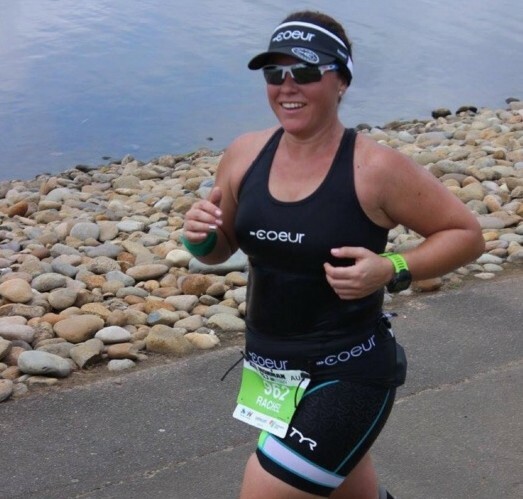 My Coeur tri shorts turned out to be a game changer! 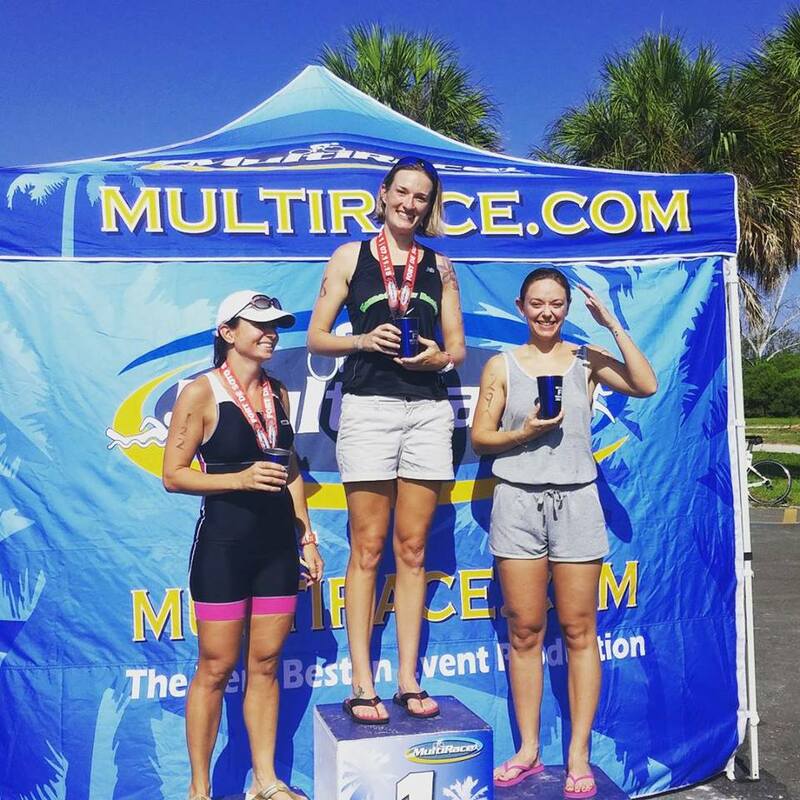 After my 70.3 in September, I was in so much pain from chafing. I never realized how much the seams could rub. Since changing to Coeur, I’ve been so much more comfortable! I’m not sure why all chamois aren’t done this way. My hubby wants guys’ shorts to be made like them. I also love my Bontrager Windshell Pants. Oklahoma has crazy wind. It is normal to ride in 15-25 mph winds with 40 mph gusts. These shell pants keep me warm through everything and because they don’t have the chamois in them, I wear them when I run in the cold, too. They were pricey, but I think they were worth every penny! I know it isn’t really gear, but I cannot live without Base Salt. I’ve always needed salt, but once I started using Base, I found that my active recovery during races and training improved dramatically. It seems like such a minor thing, but a hit of Base salt every hour or so keeps me going. My other recent find is Infinit Nutrition. 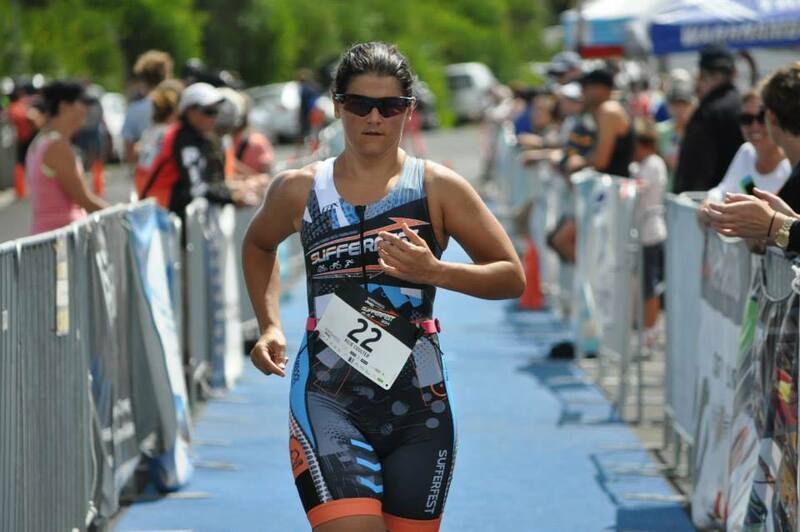 When I did Redman 70.3, I struggled on the bike, which was supposed to be my strongest area. I had no energy and could not make myself eat enough while riding in the heat. I knew I needed to make a change. Once of my coaches highly recommended Infinit, so I went to their site and created my own custom formula. So far, I’ve used it on several three-hour rides and have maintained my energy the entire time and have not been hungry at all. 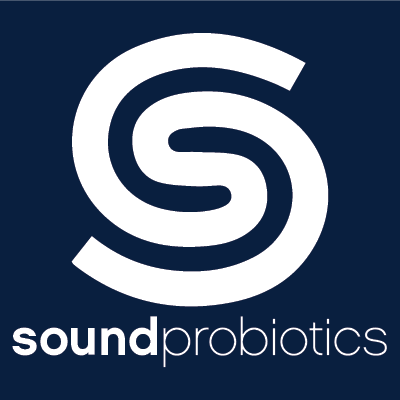 I know that the nutrition issue is going to be big for my upcoming races, so I’m truly happy that it looks like I have a workable solution now! 4. What’s your best time-saver or “workout-hack?” I used to lose so much time every day packing the bag for the next workout. I finally went and bought three Nike bags in three colors: Red for run; Black for bike; and Blue for swim. The bags are ready for me to grab at a moment’s notice and have everything I need in each one of them. 5. What part of each discipline (swim/bike/run) are you better at than anyone else? Actually, I came into triathlon without excelling in any of the disciplines. I had done more than 20 endurance events with Team in Training for the Leukemia & Lymphoma Society, but I was a walker, a slow biker and a non-swimmer. I actually think my strength is my mental game and my heart. I figure that if I’m out there training or racing while taking chemo twice a day, there isn’t much I’m going to encounter that will stop me. I’m not athletically gifted, but I enjoy doing what I can and seeing my body get stronger. I am the girl who can finish a race 10 hours later and still be smiling. 6. What do you listen to while training? My water iPod has classic rock on it. I’ve changed the music I use while swimming. Originally, I had very relaxing music as I was getting past my panic attacks. Now, it is time to work on speed, so I need my 70’s rock to get me going! On my bike trainer or while running, I have a playlist of all of the “Now That’s What I Call Music” cds. They are generally high-cadence, fun pop hits that keep me going. 7. What are you currently training for? 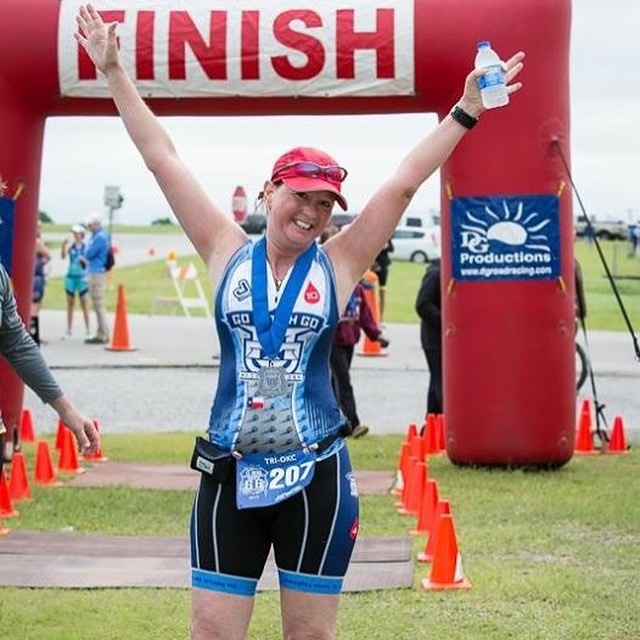 I may have overshot this year, but I’m registered to do Galveston 70.3 in April, the Legends 100 Tri in June, The World Championship Long Course Triathlon at Redman in September (97 miles) and Arizona 70.3 in October. 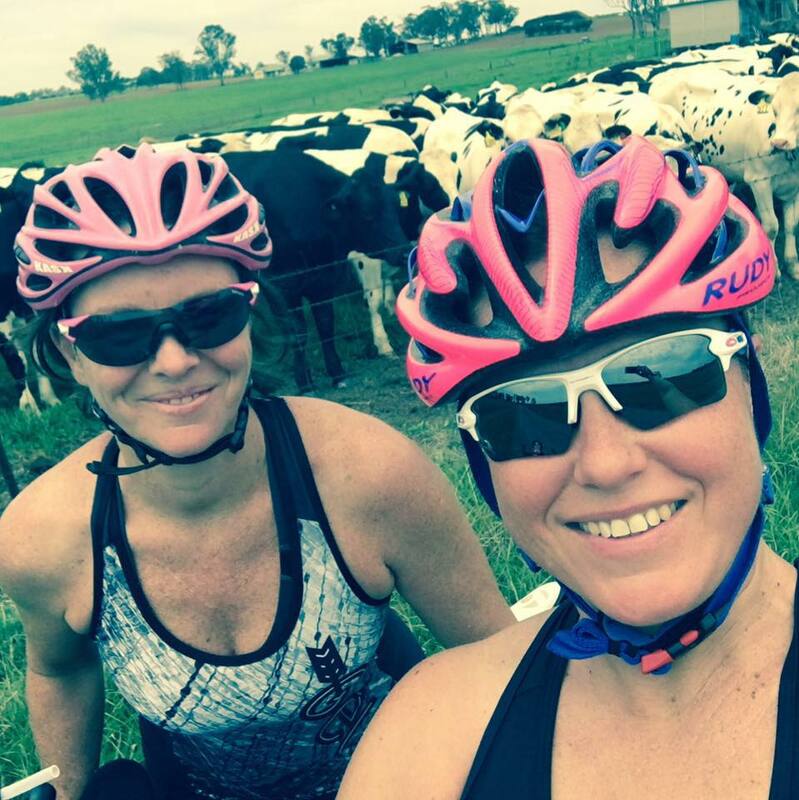 I really want to do a full Ironman, but know that I’m not physically ready for it. I figure if I can do Legends and World’s, it will show me if I’m ready for IMAZ 2017. If so, I will be volunteering at IMAZ this November to grab an early spot. 8. What are your recovery and sleep routines like? On top of my leukemia issues, I also have Addison’s disease. My adrenal glands don’t function properly, so I can end up nearly bed ridden when my levels get low. I hurt to the bone when this happens. I have to take steroids twice a day to make my body function like normal. I’ve learned a lot over the last year or so to look for the signs of when I need to increase my dose. My coach schedules a day off weekly for me, and I try to honor it and respect his plan. I used to be an insomniac, but I sleep really well these days! I think all the activity is good for me in that respect. 9. What’s the best athletic advice you’ve ever received? Stop saying “I can’t.” I at least make myself try everything. Even if I know that I don’t have the physical capability, I have to try. Because most of the time, I discover that I CAN. The day before the race, I did a practice swim at the site and felt like I was ready…the water was calm and the weather was perfect. But that is never how races go! On race day, a front blew in. Temperatures plummeted, and the winds picked up. The race director later said it was the roughest he had seen it at that lake and that he nearly called the swim. I was a nervous wreck, but got into the water and started in the last wave. I was still mostly using side stroke to swim. I got to the first buoy and was about to call for a kayak to go in, but I looked around and saw numerous people hanging onto all the kayaks. I realized I was actually ahead of all those people. 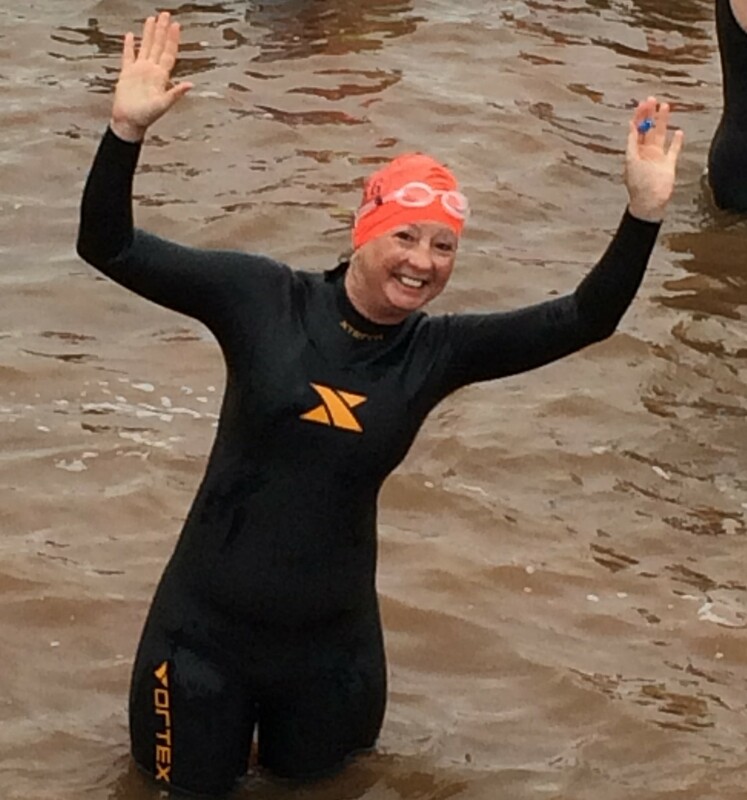 It kicked something into gear for me, and I was determined to finish that swim. I did the entire 750-meter swim using side kick drills…I didn’t even use my arms. I got out of the water and was actually not the last person. I headed out on the bike, almost in disbelief that I had survived that cold, choppy swim. And my bike time actually matched my normal speed when I was just doing a bike training. I started the run just happy to be out on the course. I set a 5k PR that day. It wouldn’t be fast to anyone else, but it was EVERYTHING to me! When I ran across the finish line and they put that medal around my neck, I knew that it would only be a matter of time until I became an Ironman. I found a strength that day that I never realized I had. I found a joy in the experience. 11. Fill in the blank: I’d love to grab a workout with _________. I’m sure everyone picks someone famous for this, but I just want to work out with my husband and my brothers, Verne and Robb. The four of us have started racing together and it makes my heart smile. How lucky am I to get to share the love of this sport with my family?!! Since I started on this journey, so many of my cake decorator friends have become more active. My industry is full of overweight people…it can be really hard not to taste the amazing things we create. I love that so many of them have messaged me that they are starting to move, to walk, to run, to do ANYTHING because of my posts. 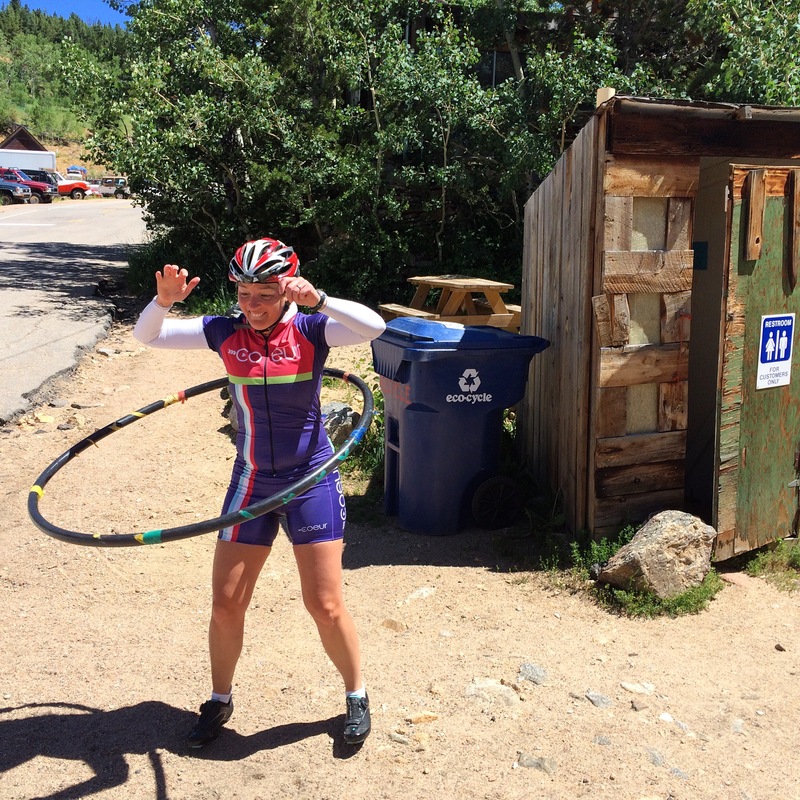 I share the ups and downs of my training. I share my fears. I share my victories. If you’ve ever thought about trying triathlons, I can genuinely say that this is the best group of people. They have never made me feel bad for being slow. They celebrate the “final finisher” with as much joy as the winner. What a great group to be a part of! Thanks, Ruth! I’m honored to be able to share your story, and I’m excited to watch you crush your goals this year as you prepare for all the adventures ahead. 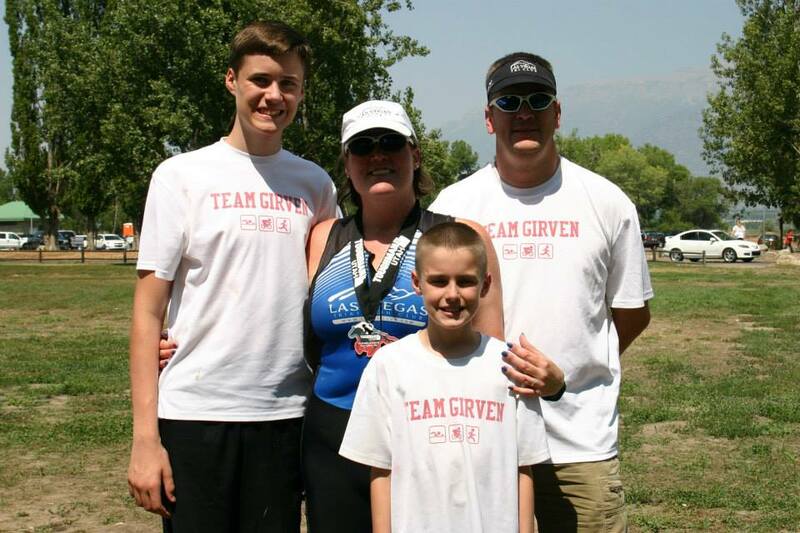 Meet Sarah Girven, a wife, mother, triathlete, animal lover, hiker, runner and all-around adventurer. 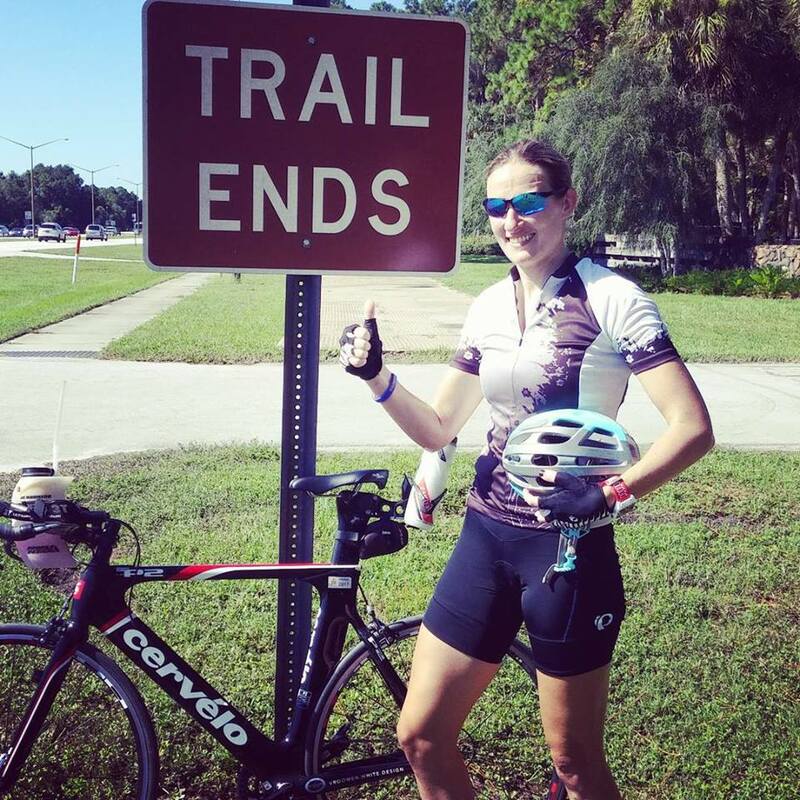 She’s another fellow Coeur Sports ambassador — new to the team for 2016 — so I was excited to get to know her better after reading about some of her adventures via her blog. What I find particularly inspiring about Sarah, however, is that she began working out in February 2012 and has been going strong ever since. 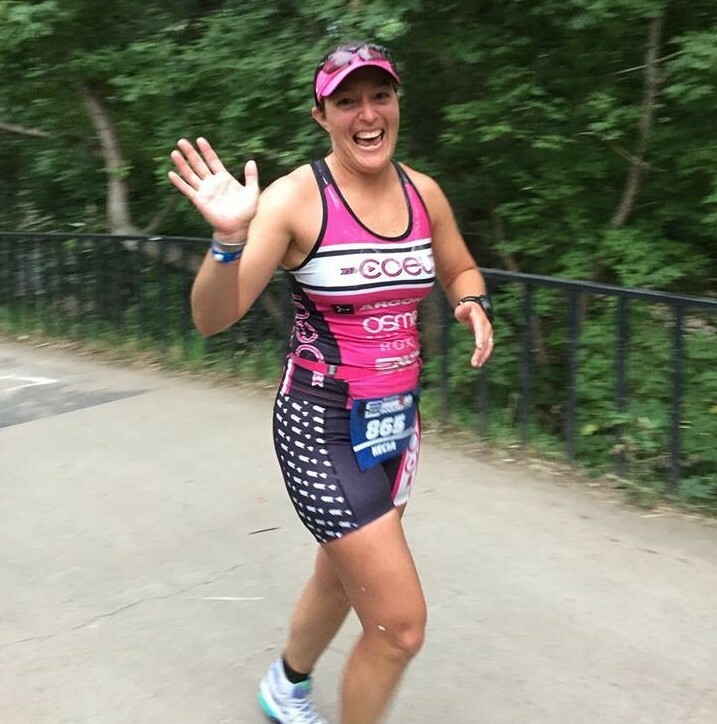 And by “going strong,” I mean that she’s since trained for and competed in all kinds of events, ranging from 5k’s and half marathons to sprint-distance and 70.3-mile triathlons. Not too shabby of a race resume — especially since it’s a mere four years old, right?! 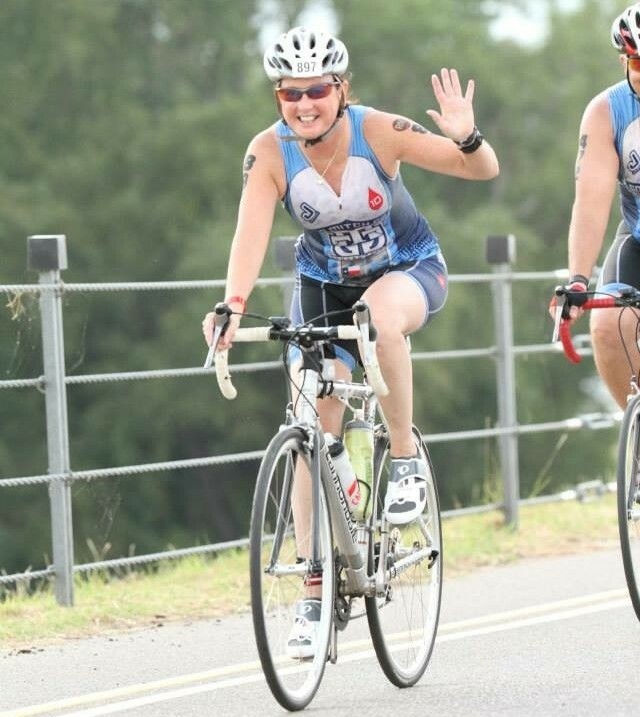 Although Sarah’s currently sidelined due to injury (but on the mend, thank goodness), she usually spends her time racing in triathlons, duathlons, aqua-bikes, bike, road and trail races. 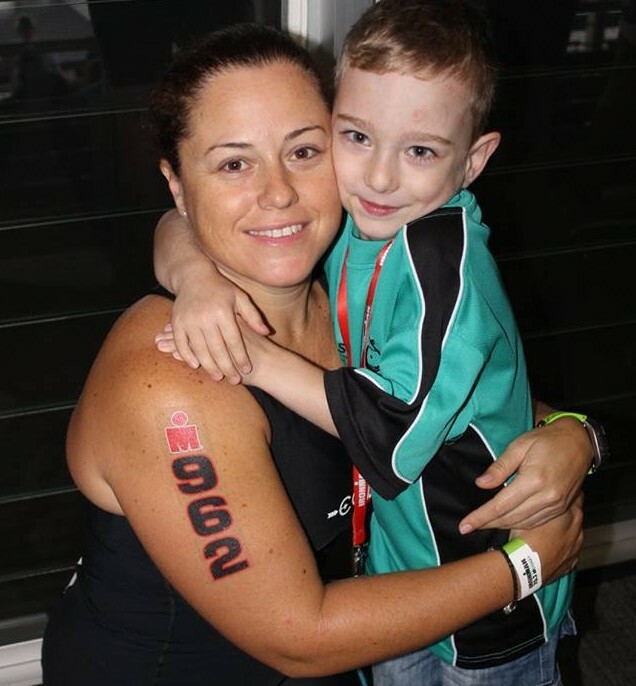 And when she’s not working with her local triathlon club or as a board member, she’s busy running her house, shuttling her kids and volunteering. Sarah seems like the consummate multitask-er, to say the least, so I was excited to pick her brain about tales from training, as well as get the low-down on her favorite gear and the best advice she’s received as an athlete. 1. What’s your favorite route or workout? 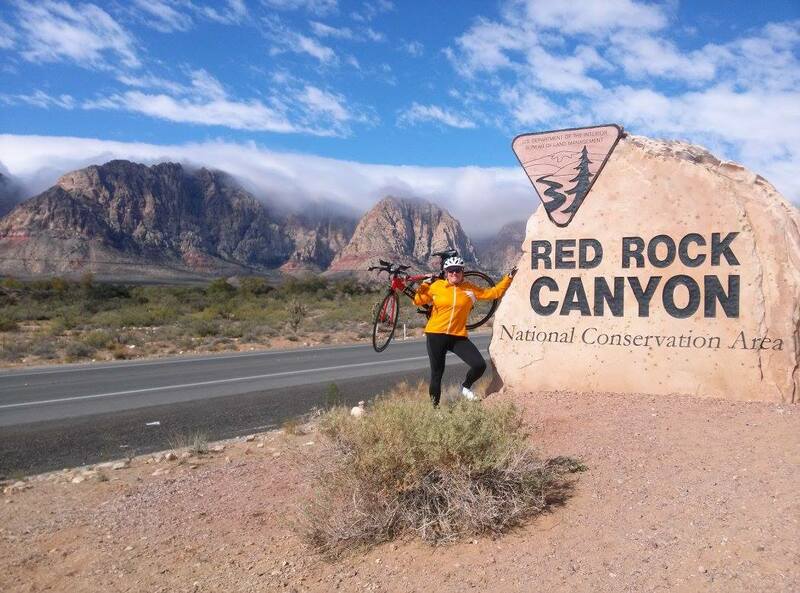 My favorite route and workout is riding my bike on HWY 159 from Las Vegas towards Red Rock Canyon National Conservation Area. I do about a 50-mile ride with more than 3300 feet of elevation gain. The backdrop is amazing, and makes the ride totally worth it. 2. What shoes do you wear — both on the bike and on the roads? I currently wear Brooks Glycerin 13. I am on my third pair and really like how they immediately fit my feet when I put them on. All three pairs have had a long run as their break-in and have never caused any issues. I bike in Shimano SPD SL SH-WR41. They are dirty and beat up, but I love them. They fit great and are tough! 3. What other training gear can’t you live without? I have a few things that I love to train with. I always wear a hat or a visor. I live in Las Vegas and need it to protect my face and catch my sweat. My favorite visors are Headsweats. I love the elastic back strap because it is so easy and quick to get on during a race. I also usually run with my Nathan Hydration Pack HPL #020 on training runs. It carries a 2-liter bladder and is fit for running, so it does not bounce. It also has enough storage for my phone, a small first aid kit and some snacks. I never leave home without my Garmin 910XT. I’m able to use it for lap swimming, open water swimming, biking, running and hiking. I enjoy looking at the stats when I’m done with a workout. Finally, I’m always wearing sunglasses. I have two types that I wear, XX2i France1 and Rudy Project Rydon or Stratofly SX. I like the XX2i for running because they really grip my nose and do not move when I run no matter how sweaty I get. I like the Rudy for biking; they have transition lenses so they adjust to whatever lighting I am in. 4. What’s your best time-saver or “workout-hack?” I have two tips or hacks I use: One, I set my workout clothes in the bathroom so I get dressed in my gear as soon as I get up and go to the workout as soon as I drop my kids off to school. That way I am already out of the house and ready because if I go back home I might not leave again. Two, I try to pick things close to my house or from my house. If I have to drive a long distance to do a workout, I am less likely to go but if I can walk out my door and start, I am more likely to do it. 5. What part of each discipline (swim/bike/run) are you better at than anyone else? Swim: I grew up around the water, so I am very comfortable in it. I have a good, steady pace and have no anxiety about training or racing in it. I am tall with a long torso and arm span so I tend to be a smooth, quick swimmer. My friends enjoy swimming with me because they say I push them to go harder. Bike: I am a rocket when going downhill! I can make a steady climb but I will fly by you on the down-side. I can definitely use my larger frame to my advantage. Run: I have a pretty accurate internal pace setter. I can set a pace and hold it for a long period of time. 6. What do you listen to while training? I do not listen to anything while swimming or biking. I do occasionally run with an iPod Shuffle. I put one ear bud in and leave the other out so I can hear and am aware of my surroundings. The playlists are just songs I enjoy and are not selected for pace or tempo. I use it as a tool to take my mind off my run. 7. What are you currently training for? This is a hard question to answer. This past October, I tore my ACL and meniscus in my right knee, and I had the surgery to replace the ACL and clean up the meniscus in December. Currently, I am in physical therapy to regain my strength and flexibility. 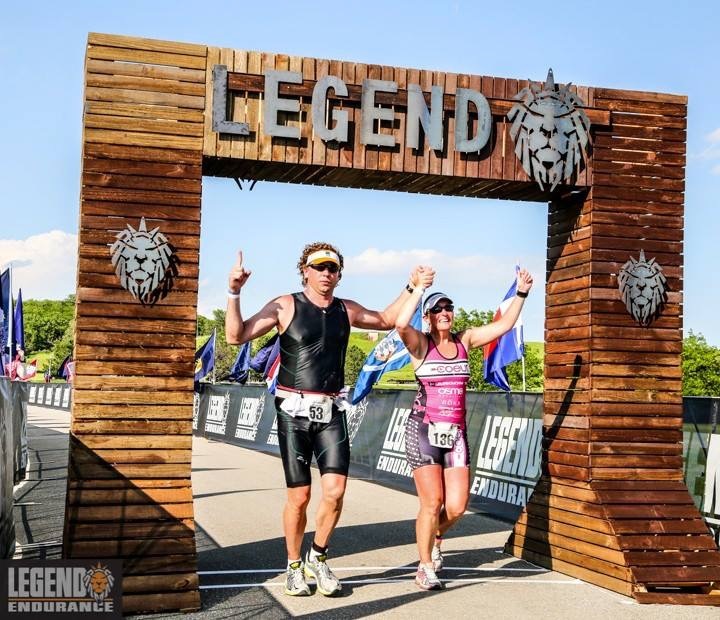 I am not training at the moment but I do have a few races on my schedule, though: I have one sprint, two sprint relays where I am the swim leg, two Olympics, a 70.3 half triathlon, Ironman Arizona and a few running races on the calendar. 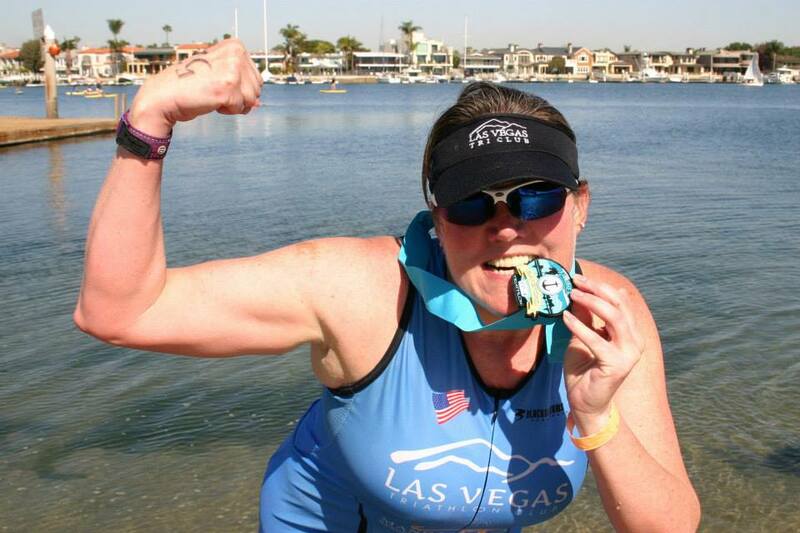 My “A” race is Ironman Arizona on November 20, 2016. I am not sure if I will be able to compete in this race, though. It will all depend on my recovery, healing and training. I am staying hopeful but am also realistic and do not want to do anything to jeopardize my health. 8. What are your recovery and sleep routines like? What are those? LOL! I would sometimes do ice baths or Epsom salt baths after long runs or extra intense workouts/races. I occasionally foam roll. 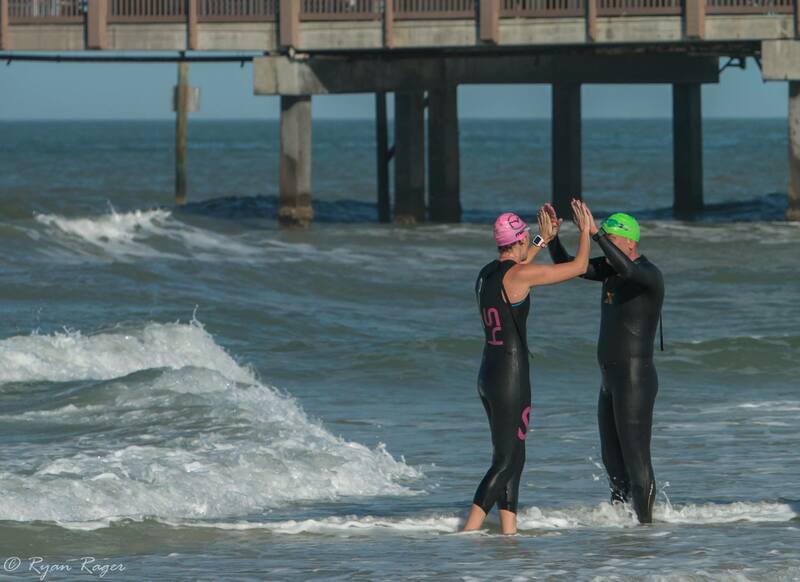 I also try to do a light swim, bike or run to loosen up a day or two after a hard race. I try to get to sleep by 11 p.m. and am up at about 6:30 a.m. on a normal night. If I am training, I wake up between 4:30-6:30 a.m., depending on the activity. Since the summer heat is so intense in Las Vegas, I tend to wake up at 4:30 a.m. to get my workouts in before the heat gets too bad. 9. What’s the best athletic advice you’ve ever received? The best advice I have received is to enjoy the journey. I have had it delivered to me in several ways. One story I often tell others is when I was about to race my first 70.3 (actually 70.4 because the swim was 1.3 miles), and a friend told me that when I am hurting to take a minute to look up and enjoy the beautiful scenery. 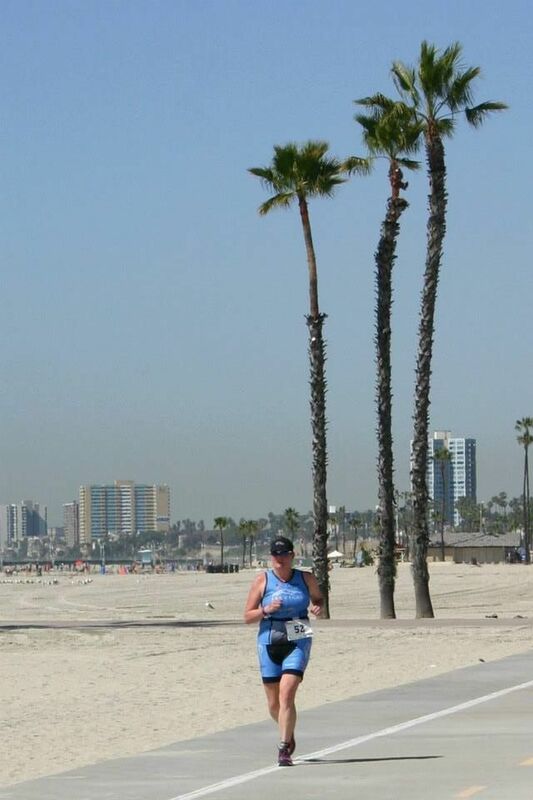 The race was in Long Beach, Calif., and as it turned out, the run was hurting. I reminded myself of her words, so I looked up and took in the sights. It truly was amazing. The ability to do this sport is a gift! Our bodies are able to do amazing things and we are blessed to be able to do it. Another friend recently said that we get to spend an entire day doing what we love. How blessed are we? 10. What’s your favorite racing-related memory? There are so many! 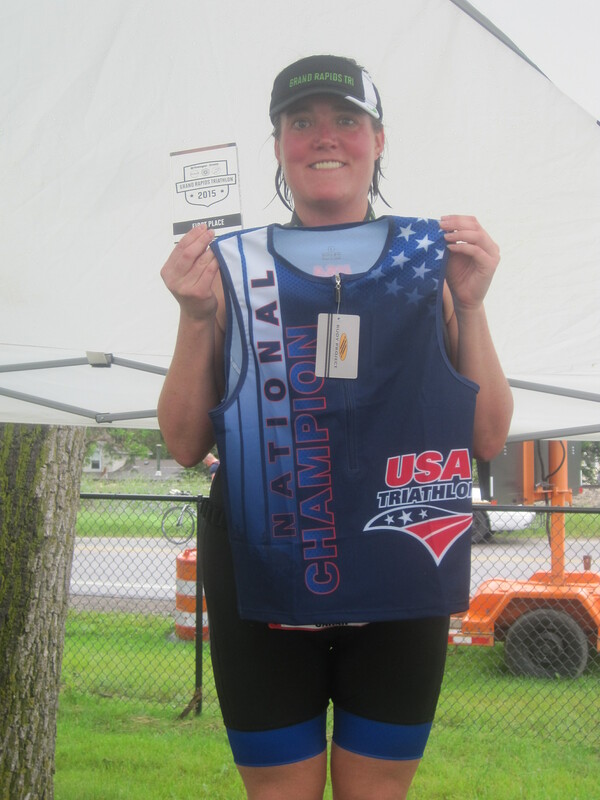 If I have to pick one it would be from the Athena National Championship race at the Grand Rapids Triathlon on June 16, 2015. 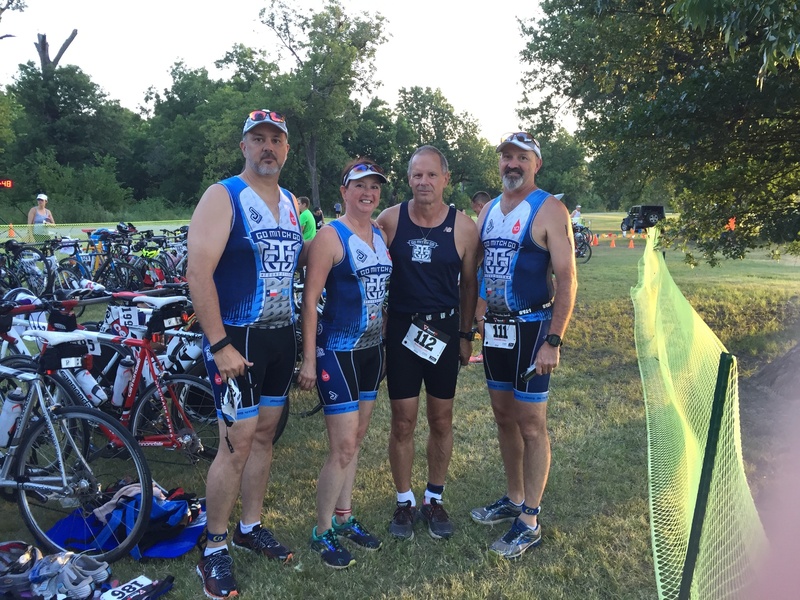 I was racing for the 70.3 title, and I was in the 40-54 age group. I had a goal of finishing in 6:15 going off of my previous times. It was raining that day and since I have zero experience training in the rain, I was not too optimistic of my results. I had a strong swim, and it appeared that I was the first Athena at the bike rack in the transition area. My ride was solid and even with the rain, I was hitting my time goals. I made it back to T2 fourteen minutes ahead of my goal time. Once again, I was the first Athena to the bike rack. I hit the run and was able to hold steady. I knew that this is where I would win or lose the race. At mile 7, my husband saw me and told me that I was crushing my times. He said that I was about six minutes ahead of another Athena. As expected, I was passed at mile 10 but I was ok with that because she is one of my best friends so I was extremely happy for her. As I approached the finish line, I gave it my all. I crossed the finish line and found my husband. He wrapped his arms around me, kissed me and told me how proud he was of me. We found out that I finished in 5:53:29! I placed 2nd overall and 1st in the 40-54 age group becoming the National Champion for that division. 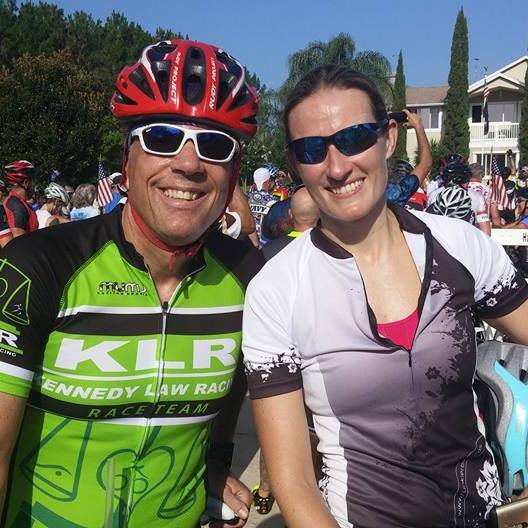 I loved racing with my friend and seeing her win 1st place overall, but I will never forget the pride I saw in my husband’s face when I crossed the finish line. 11. Fill in the blank: I’d love to grab a workout with _________. I would love to workout with all the girls from my Athena Facebook group and my Coeur Sports ambassador team. There are so many ladies that I am inspired by, and I would love to meet them in person. They are encouraging and are a wonderful support network. I also wouldn’t mind working out with Andy Potts or Ryan Lochte! 12. Anything else you’d like to add? I love to trail run and hike. I could spend days out on the trails. It is my happy place. I love the fresh air, quietness and beauty of it all. I write about my adventures in racing, training, and hiking here. You can find me on Facebook and Instagram, too. I’m also a proud ambassador for Coeur Sports, Pierce Footwear, FitFluential, Fusion Sports USA and RACEPLACE. Thanks, Sarah! Here’s hoping that your recovery goes well so you can be in tip-top shape for training this season. Friends, please give me a shout (info (at) kineticfix.com) if you’d like to be featured! 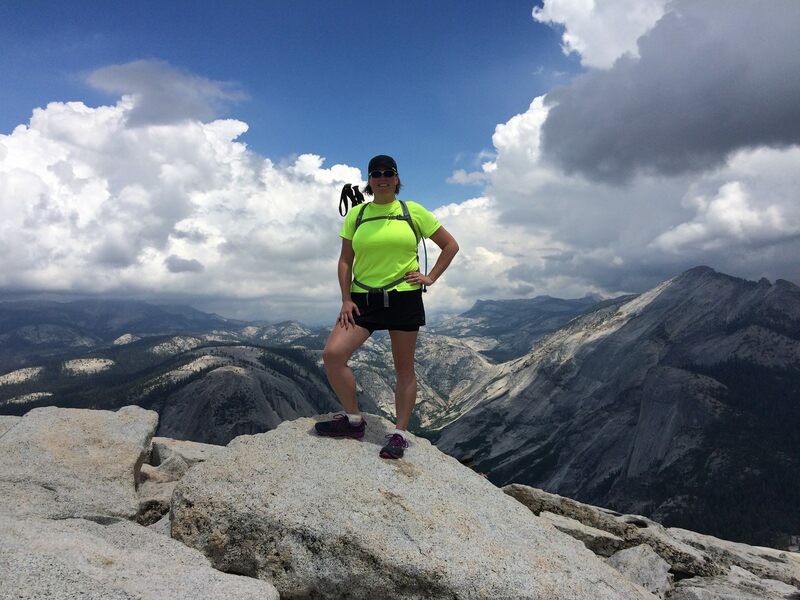 Meet Kecia Place-Fencl, wife, mother of two black Labradors, 8th grade science teacher, triathlete, yogi and lover of fitness and outdoor adventures. 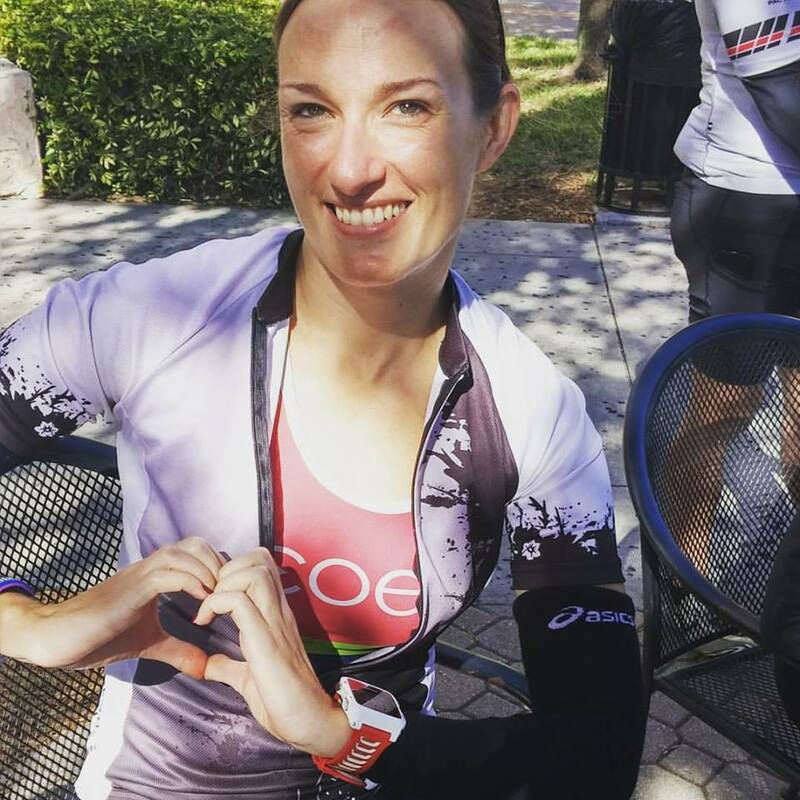 She’s also a fellow Coeur Sports ambassador, which is how we first met (well, virtually…although we hope to get the Coeur crew together someday) and have been rooting each other along via our respective blogs ever since (check hers out here for some inspiration!). 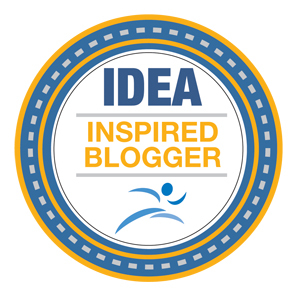 What I love most about Kecia, though, is that no matter how jam-packed her schedule is between training and teaching, she’s never too busy to lift others up with a few encouraging words or offer support when someone’s in need (i.e. she’s talked me down from the ledge after my open water swim meltdowns). 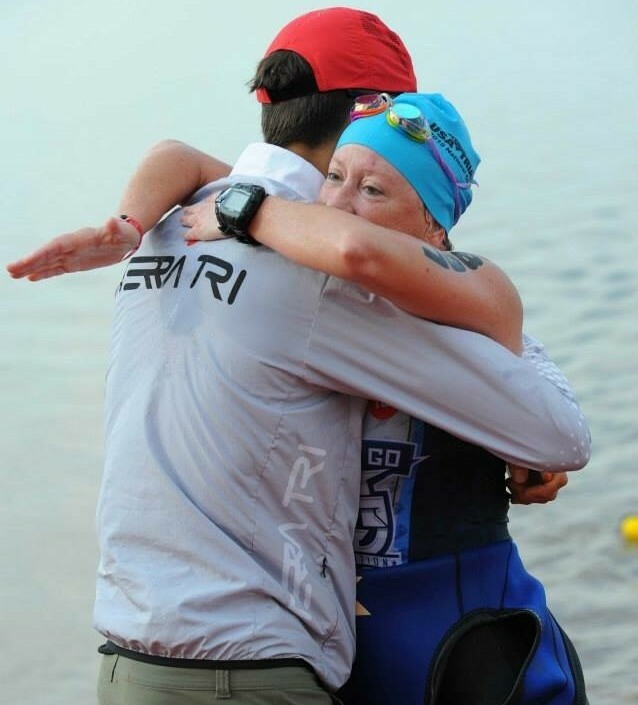 She’s a true team player, and in the world of solo endurance sports people like that are few and far between. What’s also admirable about Kecia is the way in which she trains using SMART goals to set clear objectives and hold herself accountable. It’s changed the way I approach my own personal planning for the year, be it training or life in general, and I’d highly recommend trying out her technique. But don’t let this lady’s kind demeanor and thoughtful approach to life fool you; inside Kecia also beats the heart of a competitive athlete. 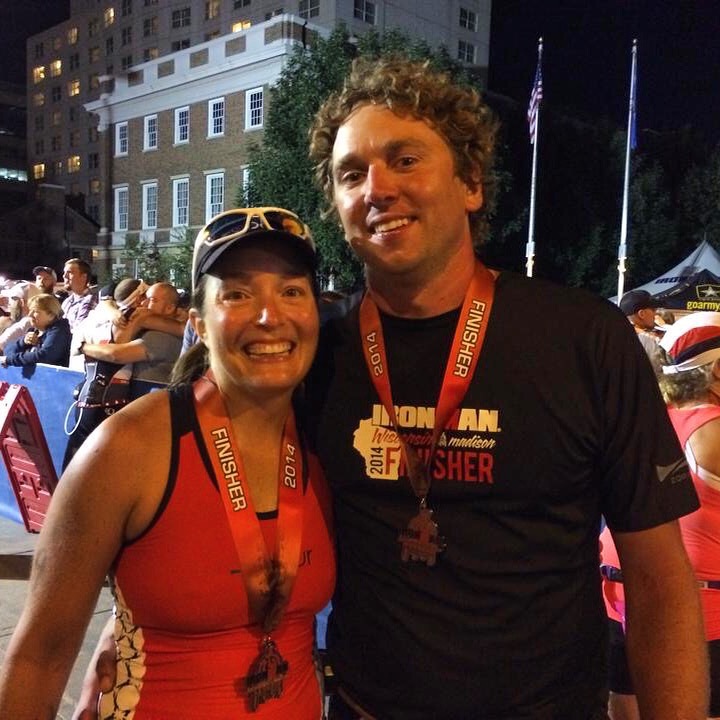 She’s set her 2016 race calendar and will be ramping up to her “A” event for the season: Ironman Wisconsin in September, her fourth time tackling the 140.6 distance. 1. What’s your favorite route or workout? Riding my bicycle in the fresh open air with my main squeeze beside me makes my heart happy! But honestly, I even love to ride my bike on the trainer! Insane??? Maybe!! But the trainer gives me safety, better time management and provides me with a more controlled environment for riding. There is a reason I refer to any bike ride I do as #bikelove…I truly LOVE to ride my bicycle!! 2. What shoes do you wear — both on the bike and on the roads? When running, I rotate between the Newton Kismet (which I LOVE) and the Asics Gel-Nimbus. On the bike, I wear my Specialized Ember. 3. What other training gear can’t you live without? 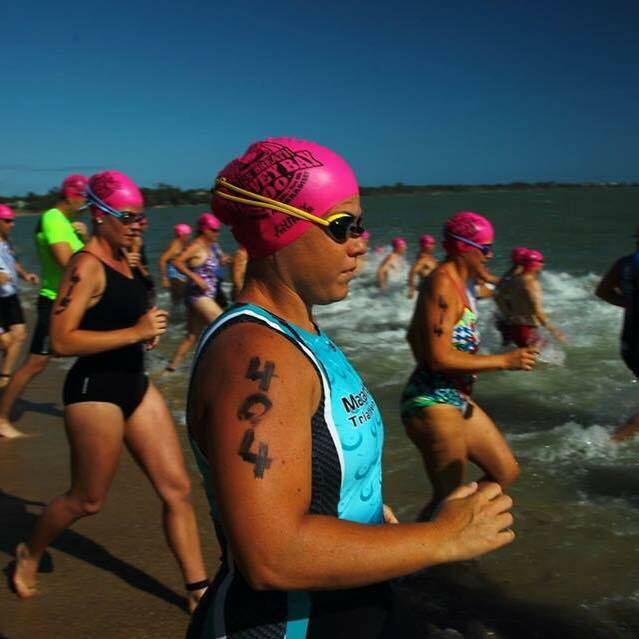 Swim Gear: My Roka X1 swim goggles are da bomb! They don’t cut into my eye sockets and allow me to focus on my swim stroke instead of the pain my face is enduring, which I have experienced with other brands. I know they were designed for open water swimming, but I use them for every swim I do…even in the pool. 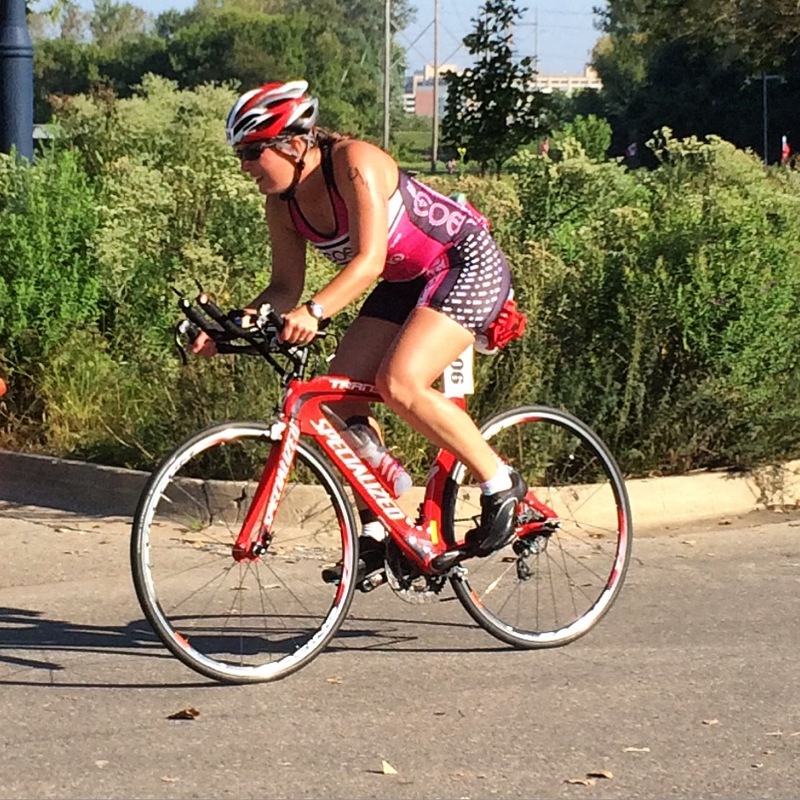 Bike Gear: My Coeur Sports tri shorts. Hello seamless chamois and no angry kitty!! I have zero chaffing and can’t imagine my 120 mile rides without them. 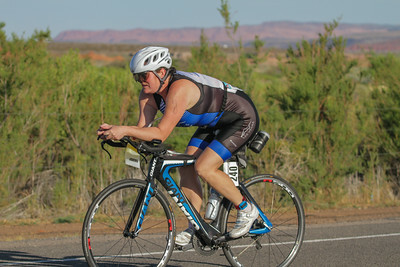 Run Gear: My Coeur Sports tri top. Before I started running in these amazing tops, my chest would chafe until it bled. Since running in these amazing tops, I have experienced no chafing. It no longer looks like someone shot me in the chest after a run…that is a definite WIN!! 4. What’s your best time-saver or “workout-hack?” My situation is unique. 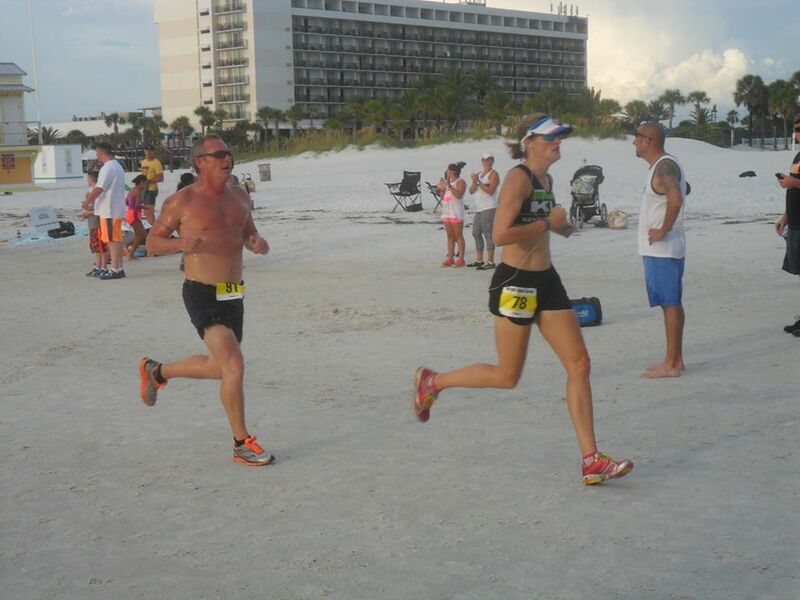 Both my husband and I train and race most of the same events throughout the year, especially Ironman races. This requires a lot of communication, planning and preparation. Each weekend, we plan and make meals (almost always homemade and healthy options), set out workout and work clothes, and coordinate who will tend to the dogs and when. Bike: Living in Iowa, I spend a great deal of time on the trainer. It provides me with safety and allows me to save time while completing my workouts. For many people, a trainer workout can give them too much time in their own brain, but that is not the case for me. The trainer gives me focus, structure and allows me to feel completely in control of my workout. 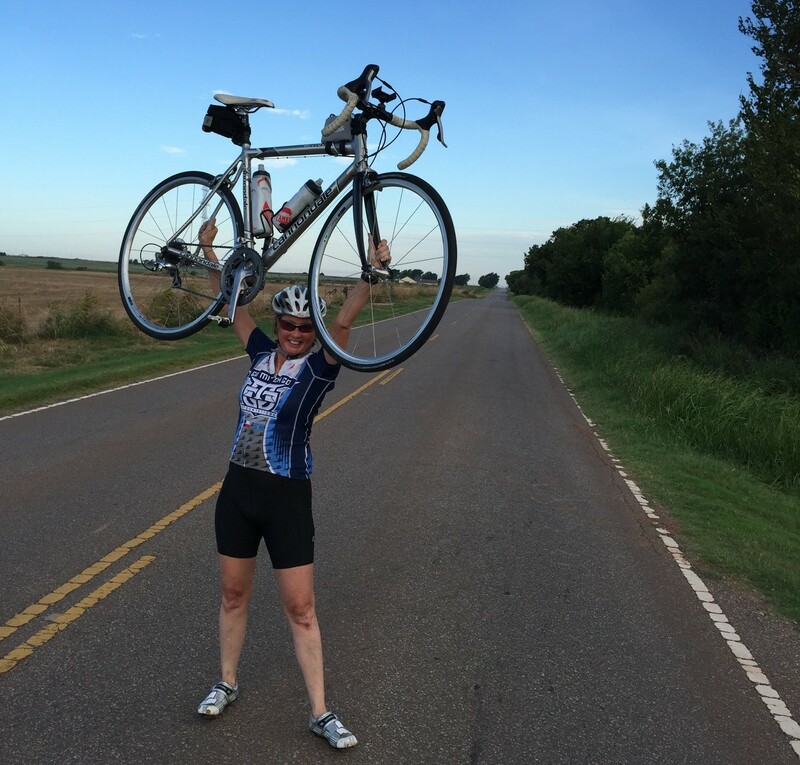 It allows me to get physically and mentally stronger on the bike by teaching me about focus, strength and fortitude. 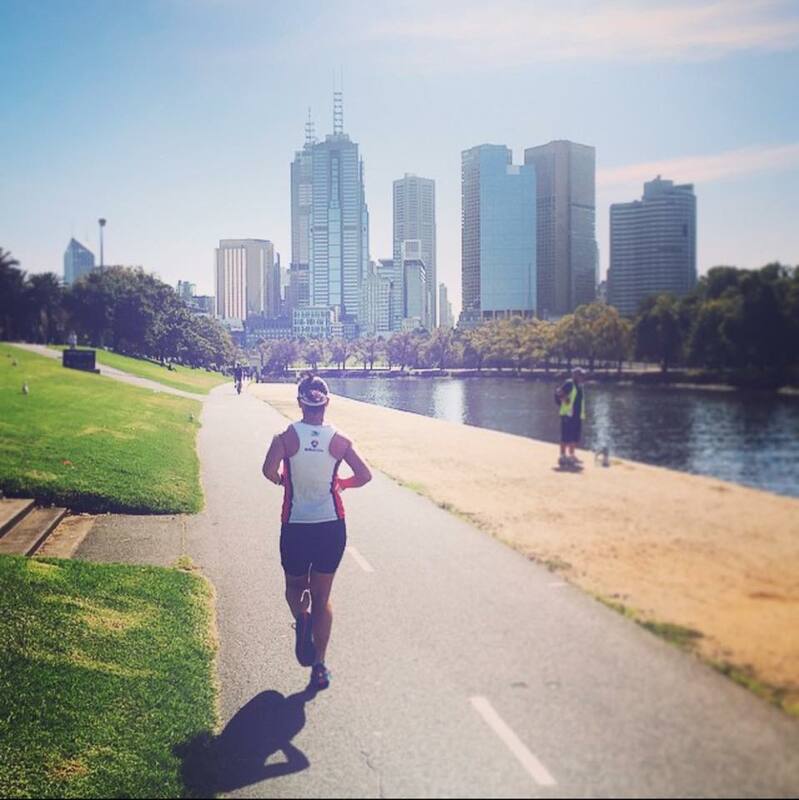 Run: I started my endurance lifestyle as a runner. I may not be fast, but I am very comfortable running and often control my pace quite well. I typically set myself up for a pretty successful run coming off the bike! 6. What do you listen to while training? Swim: Growing up on the lake has instilled water as a calming agent in me. I love listening to the water move past my ears…it calms me. Bike: During power work on the trainer, I listen to music with a good beat to keep my cadence up and help me push more watts. While riding on the open roads, I am always listening for traffic, animals and any commands from my main squeeze and other friends who ride with us. Run: I typically listen to my husband and friends converse, my breathing and our feet striking the pavement. I have never listened to music while I run and enjoy listening to the natural sounds around me as I pound the pavement. I love the peace that comes with the sounds of nature that surround me. 7. What are you currently training for? 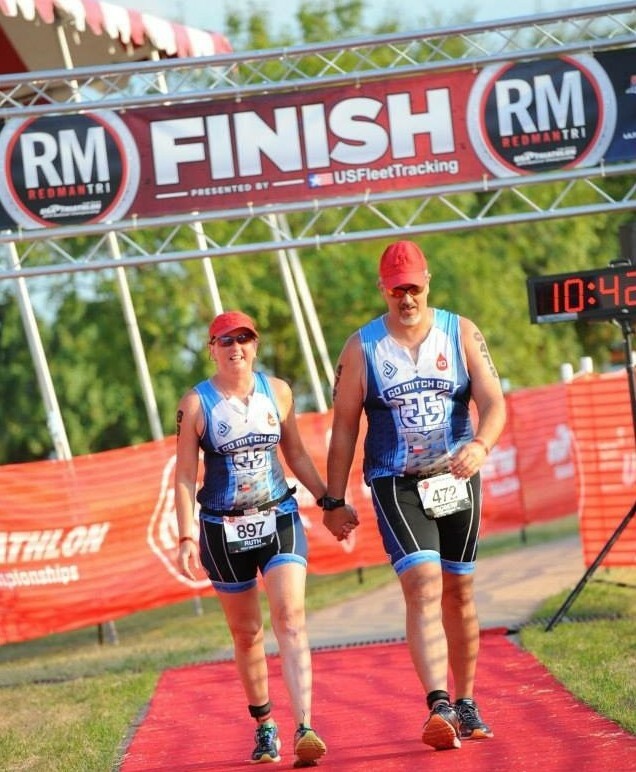 My “A” race for 2016 is Ironman Wisconsin on September 11, 2016. I am excited to go back to my home course in the Midwest and push myself to new limits at Ironman no. 4! 8. What are your recovery and sleep routines like? I definitely have my sleep routine down! I am typically in bed by 7:30 pm with a book in hand…this is my way to decompress before lights out shortly before 8 pm to guarantee at least eight hours of sleep. The alarm clock wakes me at 4 am for my “rise and grind” morning workout. 9. What’s the best athletic advice you’ve ever received? To measure my success by the size of my smile. This came from Jim, a blogger friend. Definitely advice that will stick with me for years to come! 10. What’s your favorite racing-related memory? 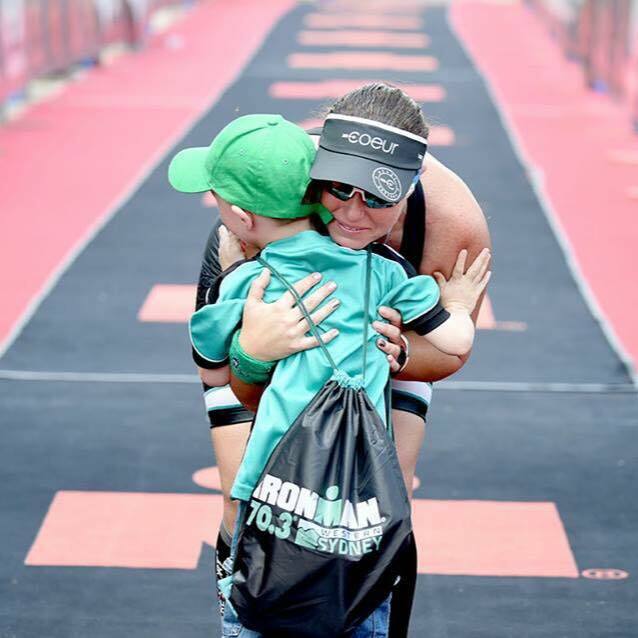 Definitely Ironman Boulder 2015…I had the time of my life with lots of family and friends cheering me on and racing alongside of me. I raced to a PR of almost 72 minutes and finished before both my husband and a male friend who were also racing. Girls rule!! 11. Fill in the blank: I’d love to grab a workout with _________. All of my Coeur teammates! I would love to be able to workout with all of these amazing ladies at the same time. The amount of inspiration and awesomeness that these ladies exude is astounding!! Fit friends, please give me a shout (info (at) kineticfix.com) if you’d like to be featured!